Confer Plastics' Pool Entry System offers a new approach to the age-old problem of how to get in and out of your above-ground swimming pool. Two handrails, with hand holds, to pull yourself up and out of the water as you walk up the stairs. Five steps, instead of four, means they are spaced closer together making it easier to enter and exit the pool. two units can be combined making a complete entry system inside and outside the pool. The unique design of the pool entry system allows two units to be joined together to form a complete entry/exit system into the pool. All-plastic construction will not affect water chemistry and will not corrode. Ventilation holes allow water to circulate through unit to prevent algae growth. Optional gate available for attachment to outside unit to restrict access to the pool. 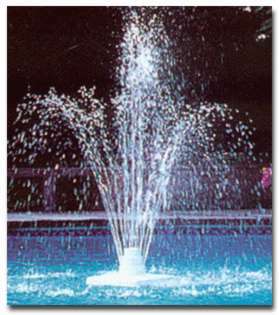 Our Most Popular Ladder, (included in most pool packages) It is made of High Impact Resin so it never absorbs the summer heat. It's Safety features include a Lift Of Out of Pool section of the ladder so little ones won't be able to climb in unawares.